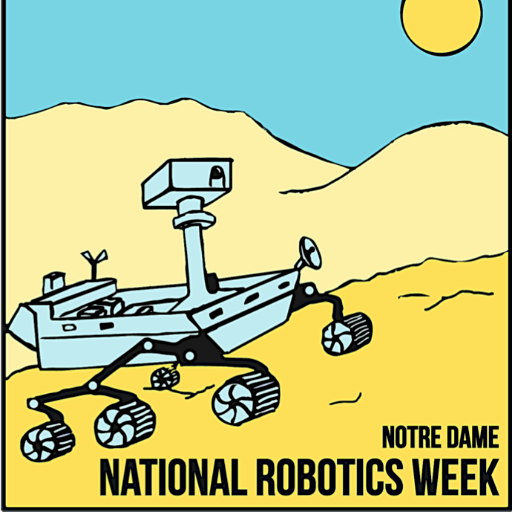 Join us in celebrating National Robotics Week! Over 100 Notre Dame faculty, students, and community members will demonstrate interactive robotic exhibits from research labs and classrooms. Dance in the robot disco, play robot-hide-and-go seek, get your picture taken by a robot photographer, and watch arial robots fly around an ice rink. The event is free and open to the public. In time for Robotics Week and the 25th Anniversary of the Cognitive Science Program at IUB, we will be hosting a public presentation of work by IUB students and faculty from the School of Informatics and Computing and the Cognitive Science Program. The Open House will showcase research and education efforts involving robotics, artificial intelligence, and other agent and computing technologies through posters, live demonstrations, computer simulations and visualizations, and other creative formats. The event will be open to IU faculty and students as well as the broader Bloomington community.